In this timely new book Christine McFadden explores the way in which flour has been a staple part of our diet, and provides a comprehensive look at the alternatives to traditional wheat flour. 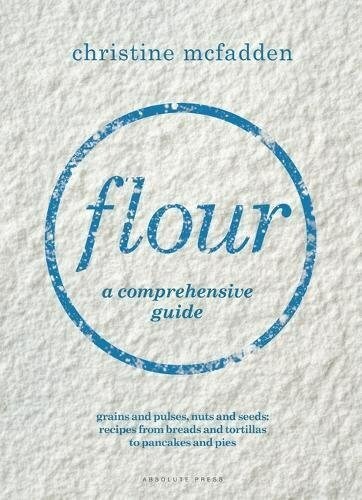 With an increasing and at times bewildering choice of flours available online and in shops, this book follows a usable A–Z format, providing a CV of sorts for each flour (including plant source, gluten/protein content, flavour profile and how best to use). Each of the flours featured is accompanied by suggested recipes from Christine's kitchen, and these recipes demonstrate the often underestimated ways in which flour is used. Flours range from cassava and quinoa to cricket flour and coffee flour, with delicious recipes such as cheddar and chilli cornbread (using amaranth flour), salted chocolate tart with buckwheat and walnut pastry, spicy onion pancakes (using moong dal) and spring lamb pot pies (with tradition plain wheat flour). Recipes are accompanied by beautiful photography to bring the dishes to life.